Considering Vodafone ? Most Australians have put the days of ‘Vodafail’ behind them in 2013. Press coverage is still challenging for the company. However, in reality, their network coverage has improved substantially and they offer some of the best deals in the Australian market. Here are 7 Easy Steps To Getting A Good Deal From Vodafone Australia. Vodafone has to be cheap or they don’t get customers. The network issues they’ve experienced have had such a brand effect, they’ve had to drop their prices across the board. But you know that. What you might not know is that Vodafone still favours it’s online pricing. Buy Online from Vodafone Australia and you’re likely to get a better deal than if you went in to a retail store. Vodafone still has it’s best deals online. 2. Network Guarantee – Bad Network Coverage ? Take It Back ! Vodafone lost a lot of customers over the last 2 years as a result of real and perceived network problems. To overcome this, they have launched a ‘Network Guarantee’. If you sign up with Vodafone on a contract and you have poor coverage where you use your phone, you’ll be able to take it back. 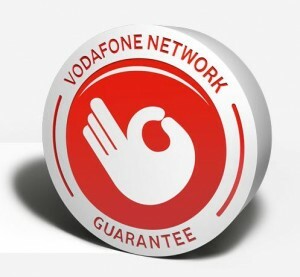 Check out details of Vodafone’s network guarantee. Vodafone has invested huge amounts of money in it’s network to fix some of the problems it’s experienced. And it’s starting to pay off. Complaints about the network have fallen dramatically. There is only a 7% difference in network quality between Vodafone and Telstra ! On top of 3G network improvements, Vodafone’s LTE network launched in June 2013. LTE ( that’s just tech talk for very fast mobile data ) is so good, people who use it love it. Vodafone’s LTE launch, while much later than Telstra and Optus’ will further improve network performance for the latest 4G devices. And that’s pretty much any one of the latest phones you’ll buy these days. Again, mostly online, Vodafone, unlike other phone companies, often adds extra features to its plans for free. These ‘sweetners’, like extra data for the first 12 months of a plan can save you money, let you use your phone more for the things you love AND help you avoid the pain of exceeding your usage limit. That means you’re less likely to get a whopping bill ! All Vodafone’s phones come with a free 24 month warranty. So long as you haven’t dropped it in the toilet ( or done something like drop it that’s your fault ), if your phone goes wrong, you can take it back and they’ll swap it. Peace of mind for an expensive bit of hardware. Get a new phone and your data usage goes up. All the industry statistics back this up as a fact. If it’s a 4G device, your data usage will go up more. Fact. Over time, you get used to the facilities on your phone and you use more data. Fact. Vodafone offers a suite of Data ‘Add Ons’ so that as you find yourself using more data, you can buy more. This way, you don’t get hit with those unreasonable out of bundle data charges that make you wince when you see your bill. Finally, make sure you download the My Vodafone App. This facility from Vodafone Australia allows you to check your usage, pay your bill and add extra data. All right from your new phone. It’s convenient, free and it’s one of the key ways you can avoid spending more than you want to on your phone plan.